But why?! The egg is dynamic enough to be a focal ingredient for more than a breakfast recipe. It's versatile, quick to cook and approachable to even the most novice home cooks. Eggs are also rich in essential nutrients and high-quality protein, which makes for a meal that takes minutes to prepare and will keep you happy and satiated for hours. Yum, y'all! 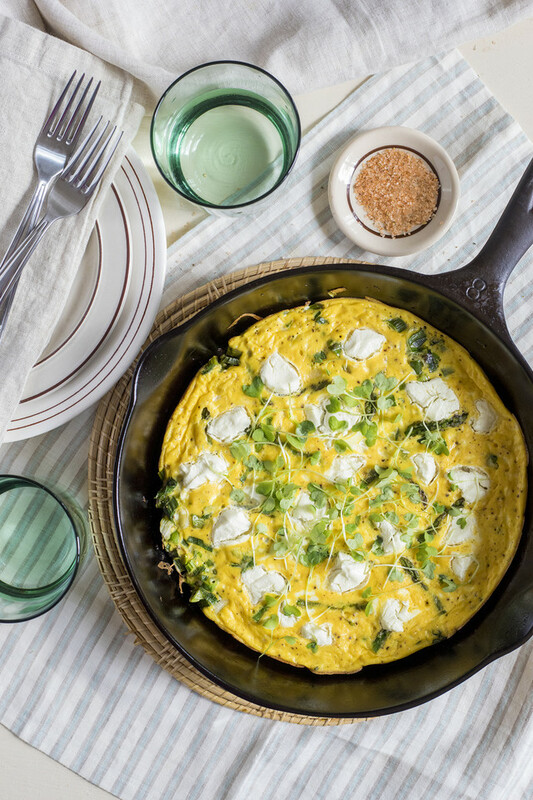 There are few more elegant yet approachable one-pan dinners than the frittata. 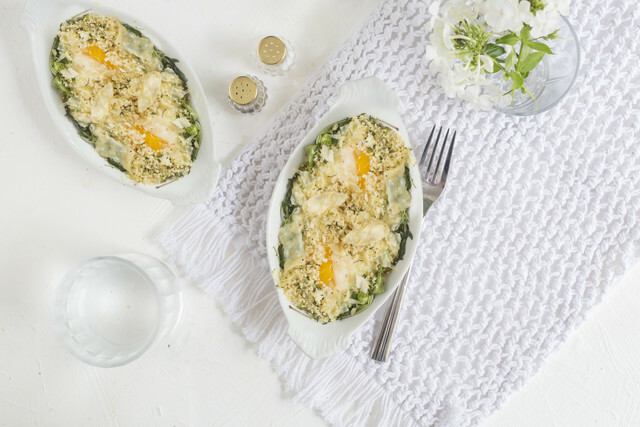 This one celebrates spring with green asparagus and tender spring onions, dotted with crumbles of the mild, tangy, fresh goat cheese known as chevre. Although asparagus tastes equally delicious no matter how it’s chopped, placing a few pointy green tips on top makes this dish look like a glamorous magazine photo (or totally Insta-worthy, for the social media-savvy among us). You can order this recipe as a meal kit for the week of April 15th! Poached eggs may seem intimidating, but fear not; with a steady hand and some patience you’ll be rewarded with a velvety yolk that sumptuously ties the plate together. Although the classic Lyonnaise salad is prepared in the style of Lyons, France; that is, with bacon, croutons, and a poached egg, this simple yet enticing dish is completely vegetarian. 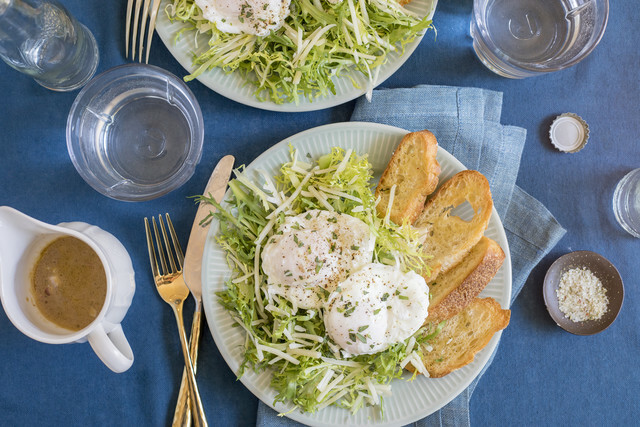 Although any bitter green fits the flavor profile of this salad, frisée lettuce is the most traditional and its creviced leaves take on smooth dijon vinaigrette and luscious egg yolk like a dream. You can order this recipe as a meal kit for the weeks of April 15th and April 22nd! Fresh farm eggs, boiled soft or hard to your liking, soak up the complex flavors of red curry while adding extra richness to the coconut cream-based sauce. 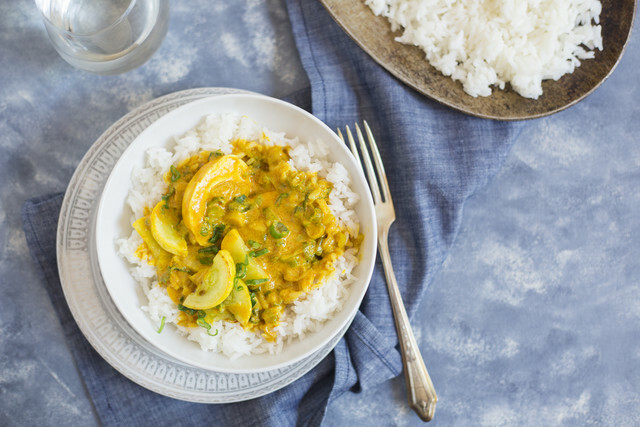 Combine that with fiber-rich summer squash- which is at the peak of its season and, in turn, the peak of taste, color and nutrition - and you have a robust vegetarian dish guaranteed to satisfy both your tastebuds and tummy! Baked, or “shirred”, eggs make a delicious, homey meal – especially when you add a little half-and-half, celery and peppery arugula to enhance their rich flavor. It’s served with thick rustic bread on the side to soak up every last drop. This brunchy dish can be whipped up in about half an hour, so it’s not too much for a lazy Sunday morning, busy weeknights, or whenever the intense breakfast cravings strike. 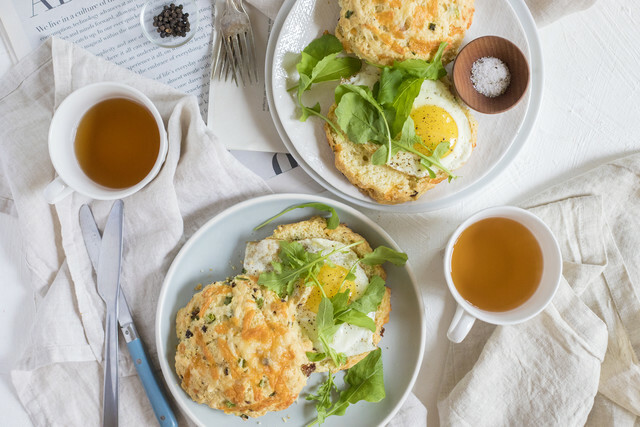 Homemade scones are far less finicky than biscuits, but hit that same sweet spot of warm fluffy goodness that we wake up craving on Sunday morning (well, every day, to be honest). Imagine a warm, tender scone emerging from your oven and steaming with its rich, savory aroma. Now imagine it split and filled with slightly wilted greens and the perfect sunny-side-up egg. Oh yes, now we’re talking! See This Week's Egg-citing Meal Kits!